This very handsome boy Boris is now ready to find his new forever home for the new year. Boris was found very underweight and in poor condition by a busy main road in October. Since then he’s come on leaps and bounds. He’s now been microchipped, fully vaccinated (and de-bugged) also progressing well with some basic training, he can stay, wait for his food, and is learning go to bed etc. He’s house trained now, is great with other dogs, on the lead and in the car. Would need a home where his humans are around most of the time. 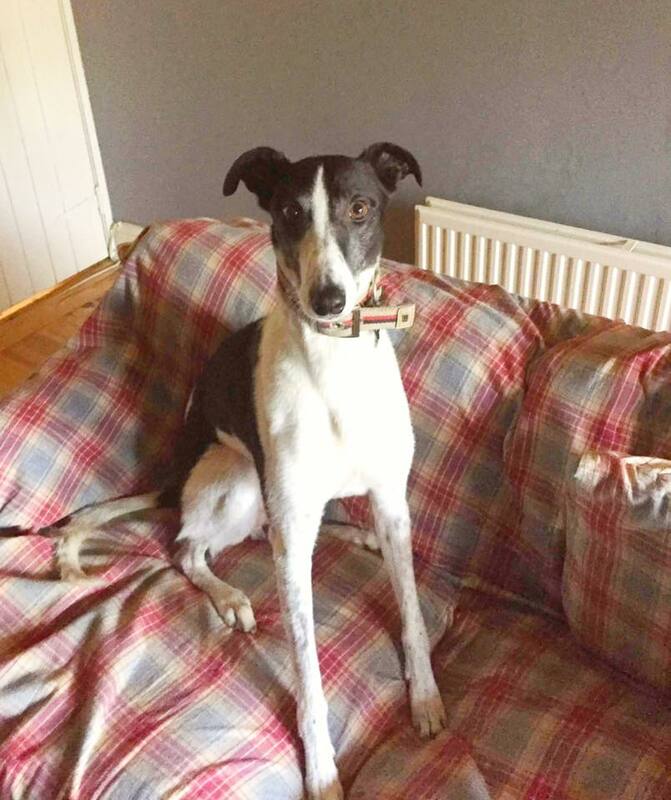 Boris weighs in around 25kg and is a Lurcher, just a bit smaller than the average greyhound, we reckon he’s around 2-4 years old.